Welcome! I’m so glad you made it. I’m Anna Marie and I’m an avid research reader, whose been searching for a cure for cancer, while practicing age prevention, for over 3 decades. Thanks be to God my eyes were opened to the language of whole food. After proving part of the language of whole food to myself, by eating a ton of whole foods and replacing my OTC allergy & nasal de-congestion pills with fruits and vegetables, I’m sharing visual links that I’ve been blessed to uncover along this journey. The science has been out there, we just needed to connect the dots. Read Whole Food is a visual guide to food nutrition. Its not my language, my research or my information, I’m just connecting the dots. Since I love to read cancer research and was blessed with the wisdom I’ve gained over the years, I’ll be branching out to read other research, hoping to match it up to whole food in a visual context. I’m volunteering my time to collect, share and create this site because I’m such a nerd that I’ll be reading the information anyways. I hope that these connections will help your brain to map a pathway to a healthy way of eating, by connecting food to the body parts they were naturally created to biologically protect, with visual connections because visual learning is easier and faster for everyone. 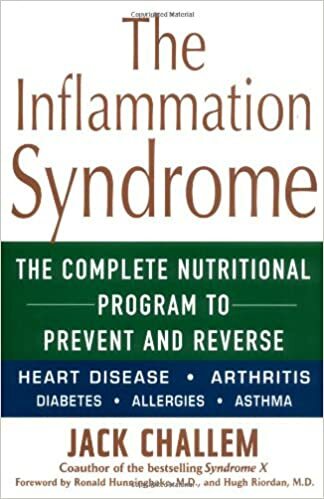 I have experienced great healing and have witnessed my mother’s miraculous cure and aversion of a serious surgical procedure; all thanks to a switch in our diet. We didn’t go on a diet per-say, but instead we replaced our regularly consumed items with those which are much healthier for us, such as coconut oil for cooking instead of unsaturated fats. My family has experienced far too many deaths from cancer and other deadly diseases which could have been prevented with the right foods. That is what pushed me to create these visual learning cards. So please share them with your friends and family, print them, post them, share them and keep them close by so you can know your food. Pain, which manifests from inside the body via organs, bones, blood etc., transpires into the world as anger, jealousy, sadness, depression and bullying, just to name a few. Thankfully God created whole foods in a such fashion, that they can provide the enzymes required to create our internal electrical energy, which our body requires to perform body functions and healing. But how you choose your food makes all the difference. Knowing your food can help you to choose the healing foods your body needs, just by looking at it. Once a person heals from within, they cannot exude bad energy no matter how hard they try. Which is why a return to consuming healthy, life giving food (including good brain fats plus healthy protein such as grass fed beef) is vital to the survival of humans as a whole. I’m not a Doctor, I’m a child of the most high God. He has answered my prayers. Before we were all created, he provided everything we need in the Earth and by his language of whole food, we can all learn what to eat to experience great healing and optimal health visually. Thanks be to his glorious mercy, he sent his son to heal us from within through his body (the bread) and his blood (the wine) which are the life giving, healing enzymes found in whole food. The Online website for The National Center for Biotechnology Information, which advances science and health by providing access to biomedical and genomic information, has been a great source of reference. CALLING ARTISTS & PHOTOGRAPHERS FOR OUR MISSION!